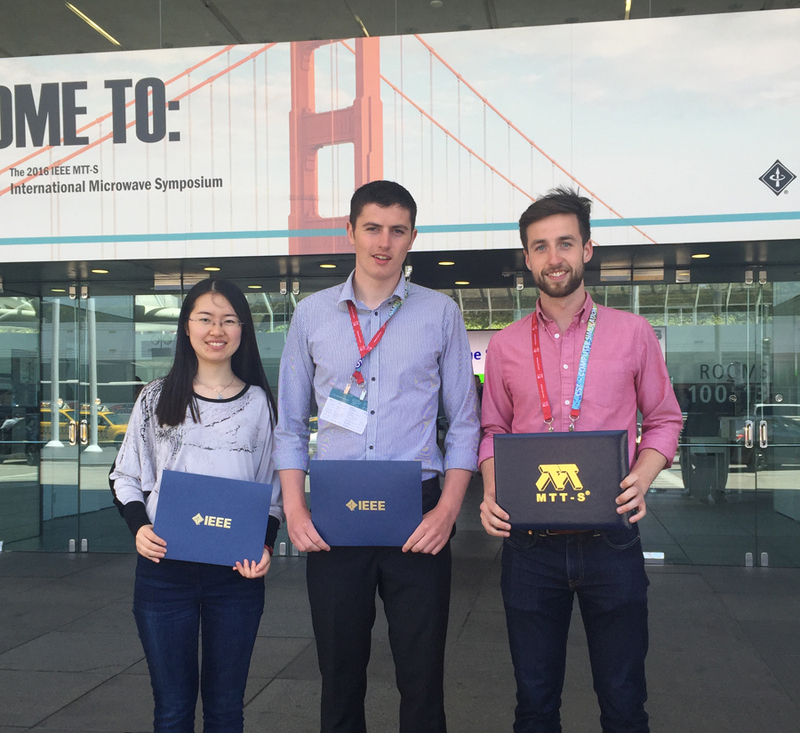 Wenhui Cao and Noel Kelly, PhD students in Dr Anding Zhu’s research group at UCD, have won first place in a student design competition on “Power Amplifier Linearization through Digital Pre-distortion (DPD)” at the IEEE MTT-S International Microwave Symposium (IMS) in San Francisco. The conference ran from 22nd to 27th May. In addition, Kevin McGrath (right), a Masters student, has been awarded a Pre-Graduate Scholarship by the IEEE Microwave Theory and Techniques Society (MTT-S). Dr Anding Zhu, is a Connect Funded Investigator, and the three students are partially funded by Connect.